Don't keep your true love waiting any longer. You've found your perfect match, now offer your loved one the perfect ring. Yours is the fairytale romance waiting to be shared with the world. 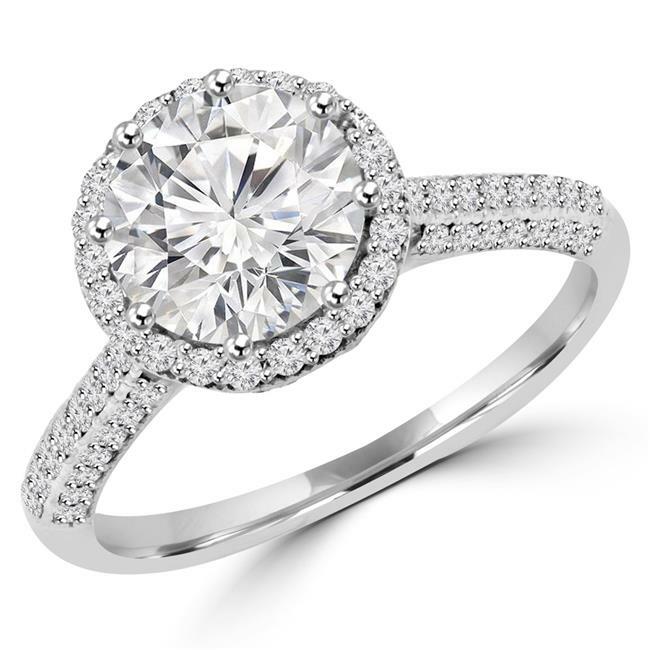 Tell your romantic tale with this brilliant Diamond Halo Antique Vintage ring. Give your sweetheart everything their heart desires with this breathtaking Round Cut Diamond Halo Antique Vintage Engagement Ring in 18K White Gold. At the center is a magnificent 1.52 CTW round diamond in a prong setting, accented by an incredible 85 brilliant 0.43 CT very good cut round diamonds, SI1-SI2 clarity rating and D-E color. Your significant other will not be able to look away from this lovely diamond engagement ring and they won't have to once you place it on their finger forever more.